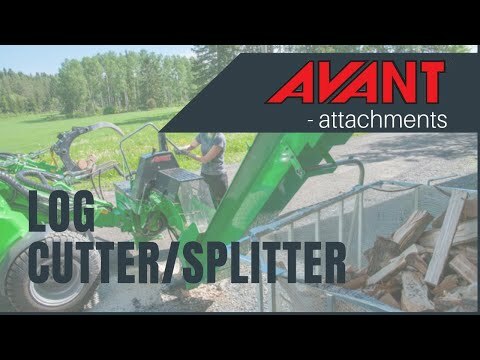 Log Cutter/splitter - Reach It! - Move It! - Crush It! Avant log cutter/splitter is a very efficient firewood making machine. It combines a chain saw and a hydraulic log splitter. The hydraulically driven chain saw cuts the log, after cutting the log drops automatically on the splitting table where a hydraulic cylinder pushes the log against the splitting blade. Position of the splitting blade can be adjusted, according to the log diameter. The new model is equipped with a separate system with own oil tank for lubricating the saw chain. Discharge conveyor is available as an option. Discharge conveyor is available as an option (for 400-700 series).